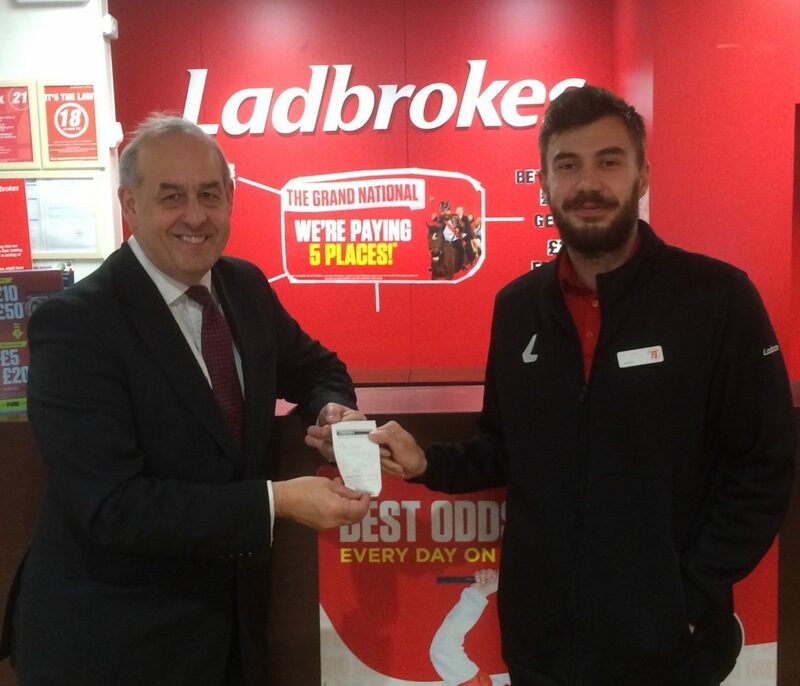 I visited my local Ladbrokes shop in Flint to place a £50 charity bet on last weekend’s Grand National. The Grand National is the world’s most famous steeplechase and is watched by an estimated 600million people across 140 countries. It is estimated that around half the entire UK adult population place a bet on the race. The Grand National is one of those great sporting moments in the sporting calendar. I was delighted to visit my local Ladbrokes in Flint to meet staff and customers. I was very happy to take the generous offer of a free £50 bet which I placed on Pleasant Company. The charity I had chosen for the donation was the Flint branch of the Royal National Lifeboat Institution. Sadly, Pleasant Company wasn’t successful on this run. It is important that people remember that the occasional flutter at the bookies is all well and good but if you have ever had bet regret you should consider contacting the National Gambling helpline on freephone 080 8020 133 or visit www.begambleaware.org for help and advice on how to gamble responsibly.